Don't Know Who Injured You? Can You Still Sue? 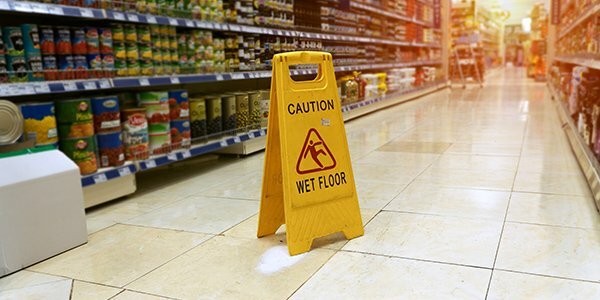 Sometimes when you are injured and your property is damaged, you may not know the identity of the culprit. But just because the person responsible is unknown doesn't mean you can't sue. The American legal system is actually set up to handle lawsuits where many (or all) of the defendants' identities are a mystery. It may make your case less likely to be a success, but not knowing a name or address isn't a fatal blow to a civil lawsuit. So how can you still sue if you don't know who injured you? You may be familiar with the practice of calling unknown persons "John Doe" or "Jane Doe" -- most likely relating to police procedurals in which an unidentified body is found. But in many states, the courts will allow a suit to proceed against "John Doe" or "Jane Doe" when the defendant or defendants are unknown. These so-called "Doe defendants" are named in a civil complaint for injury just like regular parties, and the practice can be especially helpful if you're unaware of the identities of multiple persons who injured you. For example, your case may refer to the defendants as "Does 1 through 20." However, keep in mind that some jurisdictions limit the number of Doe defendants who can be named in a lawsuit. One of the benefits of filing a suit with "Doe" defendants is that it will prevent the statute of limitations from lapsing on your injury claim. Most states give victims a certain time frame (typically around two years) to file a lawsuit for personal injuries, and if you wait too long because you're unsure about a defendant's identity, your chances for recovery may drop to zero. However, if you file a personal injury suit with "Doe" defendants, you can stop this statute of limitations clock and proceed to discover the culprits' identities. However, once you file your injury suit with the court, you will only have about two to four months to serve each defendant with a complaint, depending on your state's rules (or federal rules, if you're suing in federal court). Once you've filed your suit, even with multiple unknown or "Doe" defendants, you can use discovery to find out who the responsible parties actually are. For example, what if you were in a bar fight but have no idea who your attackers were? By filing an injury suit with at least one "Doe" defendant, you can then subpoena bar employees or other witnesses to identify your attacker(s). As you can see, handling cases with unknown defendants can get quite complicated. To maximize your chances of success, you'll probably need the help of an experienced personal injury attorney who can use the rules of discovery to your advantage.